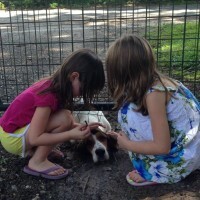 Being a six-year-old boy is fun, especially since they can do so much more than ever before. With their strengthening skills, your kid can even start making his own things. Doing experiments and solving puzzles are just some of the curious activities they can keep busy with. Little boys these age also like to keep active and toys that help him do so are always welcome in their eyes. Review: Some boys already have a favorite sport at the age of six, but many are just starting to appreciate the athletic world. Why no kick start his journey by giving 3 different balls? 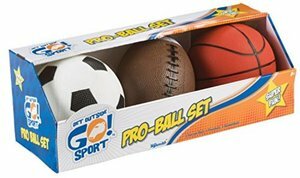 This set has 1 soccer ball, 1 football, and 1 basketball which allows your star player to start playing three different sports. They are quite soft and small which are perfect for your little boy’s small hands. He can choose to play with it outside or with care, even inside the house. The balls are really durable and well-made which are great features to have if your kid’s going to play with it roughly (as most six-year-old boys tend to do). Review: While some boys prefer more active games, there are also boys who would rather sit down and practice their creativity instead. 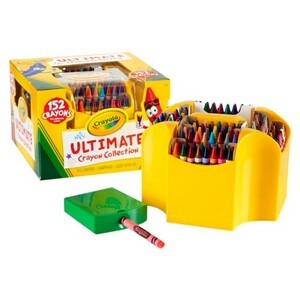 The Crayola Ultimate Crayon Collection is perfect for your budding artist. This incredible set has over 152 different colored crayons, a sharpener, as well as caddy for excellent storage. Your little guy can draw so many pictures in great detail because he’ll be getting more than the basic shades of each color. With the many colors included, he can go wild drawing a monochromatic picture and still come up with something that has lots of different shadings! 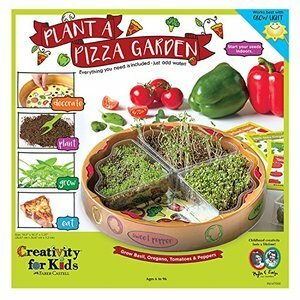 Review: Pizza is such a yummy snack to eat, and your little boy can prepare one with his very own plants. Develop his green thumb with this awesome planter set. You can grow basil, tomatoes, oregano, and peppers! It’s not even that hard to start. Your little gardener just needs to add water and keep taking care of his new planter pot. There are even accessories included to decorate and personalize your own pot. And when they plants have matured, he can harvest them and bake a pizza. There’s even a recipe included! I think this is a genius way to get kids excited about gardening. Review: Is your son an avid baseball fan? 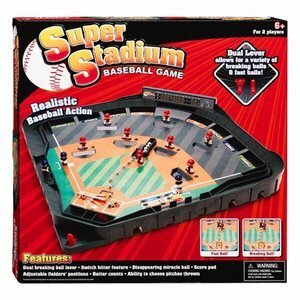 Well, the Super Stadium Baseball Game is the perfect gift for him! You don’t even need to run around and get dirty with this set. The game has different levers and contraption that helps your little boy play his very own mini-baseball game. It’s perfect if you don’t have a lot of space or if it’s always raining wherever you are since this a baseball game that you can safely play indoors. This set even includes features that a real baseball game would have. I personally find it ingenious, and it’s always a crowd-pleaser (no matter the age!). Review: Nat Geo has been around for many years and is a place where we could learn about new stuff about thousands of different things about our planet. It’s a good thing that they’ve decided to branch out to kids’ activity sets. 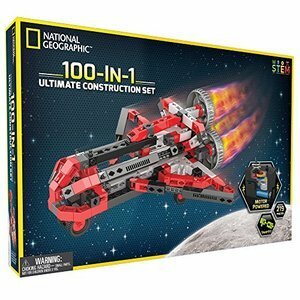 A great set to get is the Construction Set. 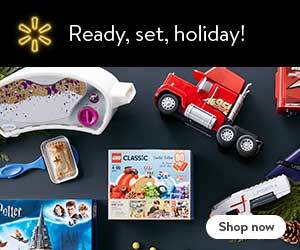 It includes over 200 pieces that your son can use to build racecars, motorcycles, and even dinosaurs. But what makes it all the more exciting and clever is that the set also comes with attachable battery-powered motors that can make his creations move! Your little boy can use the given guide or let his imagination run wild, his choice. Easy gameplay + highly innovative pieces? PERFECT! Review: Who doesn’t love magic, right? Future magicians would definitely adore this fantastic magic set! He can practice his first illusions and soon wow you with the wonders he can do. 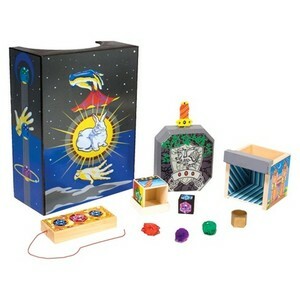 Your little boy can impress you with his skills with his magical Jewel Box, as well as his Color-Changing String, and many more. But he won’t be going in blind. This set contains very detailed instructions to all the illusions. What more can he learn? Dexterity and concentration are important skills that he can master as a magic prodigy! 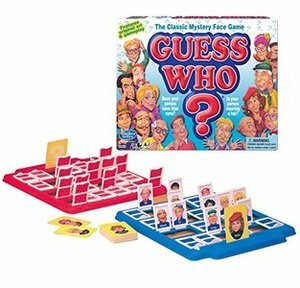 Review: Guess Who? is a classic board game that many generations have enjoyed playing. I know I did when I was younger. It’s time that you introduce your own child to the fun! This game is super easy to understand, and your little boy can surely appreciate guessing the silly faces behind the panels. All he needs to do is answer yes or no questions! Plus, defeating Mommy and Daddy will surely boost his self-confidence. Review: A toy that will get your son’s energy revved up and going is this clever version of everyone’s schoolyard favorite, the Dodge Tag. Okay, so you might be thinking that Dodgeball is a bit too violent for a young kid, right? Well, Dodge Tag isn’t! It’s safe, fun, and encourages exercise. 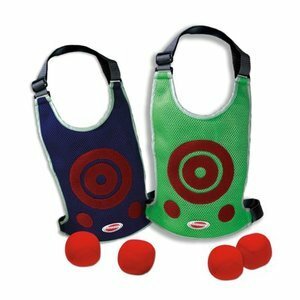 With each set, you get 2 adjustable air-mesh vests and soft dodgeballs. You can buy more vests if your kid has lots of other siblings or friends who want to join the game. As long as everybody is not overly rowdy, gameplay with be super safe. Review: If your kid isn’t a big pizza fanatic, that’s fine! 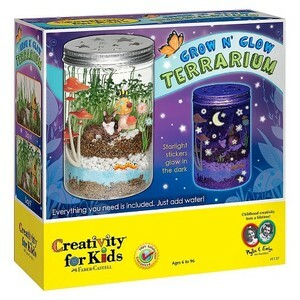 You can still help him cultivate his nurturing skills with this terrarium. Everything your little boy will need to grow his very own tiny garden is included in this awesome set. He can even use decorations to spice things up. What’s more amazing is that his little garden can grow indoors, day or night! Review: In a world as fast-paced and computer-reliant as ours, coding is an important skill to learn. In fact, most schools are already introducing basic coding to our children. Soon, it’ll be a critical skill they’ll need to survive. Why wait for school when you can make coding a fun game with the Code and Go Robot Mouse? You can help your kid start thinking critically and solving problems effectively which are needed to successfully create codes. 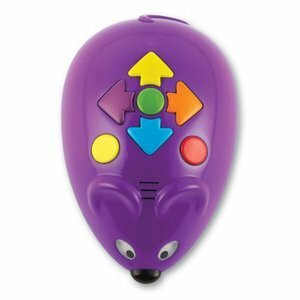 By using easy-to-understand coding cards, your little coder can make the programmable mouse follow his commands. Six is a nice age to start learning things all on your own. 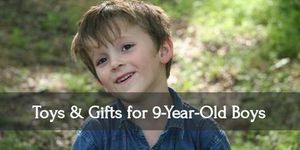 Having toys that can help your little boy along the way is a great idea that ensures that he learns the things he needs to in a fun and engaging way. 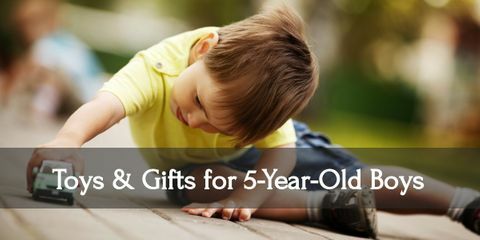 You can encourage many traits and skills with the help of useful toys. That’s why it’s important to know the ones that are actually worth getting! 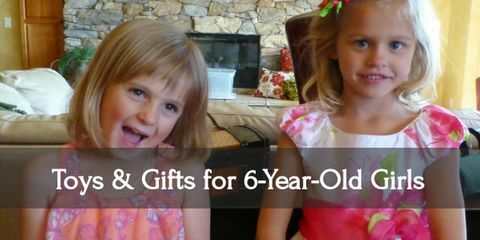 Delight in the smiles of your six year old little girl when she gets these gifts!